A ccording to health.gov.au, manual handling is the most common cause of injuries for employees working in aged care, accounting for 58% of all injuries. It is important to remember that injuries from manual handling can be a result of lots of stresses and strains that have occurred over a long time. This course will help you identify where manual handling hazards lie and how you can best prevent injuries from occurring. 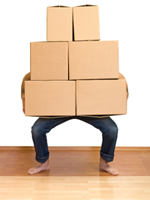 It is important that you understand how the body works when you attempt to lift or move objects and that you don't take any short cuts when it comes to preparing for moving objects. Bullying is repeated, unreasonable behaviour directed towards a worker or group of workers. It creates a risk to personal and workplace health and safety. It is important for managers at all levels to recognize, understand and effectively treat with instances of bullying , harassment and discrimination at the workplace. In this course, you will learn to identify workplace bullying and harassment, identify the differences between bullying and discrimination, the effects of bullying in the workplace and how to treat with these instances. At the end of the course you will be asked to complete a quiz. You will require a score of 100% to pass. The prevention and timely control of infections is an essential component of providing quality care to our clients and maintaining a healthy and safe workplace. Infections can spread in any environment. Residents/clients in aged care may be more vulnerable to infection for a number of reasons, including being older, having been in hospital and having chronic diseases. This course will provide you with key information to enable you to gain an understanding of the transmission of infections organisms and knowing how and when to apply the basic principles of infection prevention and control. Work health and safety is concerned with protecting the safety, health and welfare of people engaged in work or employment. The need to be safe at work should be an integral part of every thing we do at work. The right to be safe at work is a basic human right that should be accessible by each and every worker. Regardless of the nature of your work, you should be able to carry out your responsibilities in a safe and secure working environment, free from hazards. This course helps you understand the rights, roles and responsibilities you have in your workplace and how you can remain safe when conducting your work.